MetLife, Inc. is the holding corporation for the Metropolitan Life Insurance Company and it is one of the largest global providers of insurance, annuities, and employee benefit programs, with 90 million customers in over 60 countries. If you are a Metlife client you know you can manage your account only of you have to undergo a Metlife login on www.metlife.com process. Type the website address in your browser bar: www.metlife.com. On the homepage click on the Log In button you see on the right side of the page header. 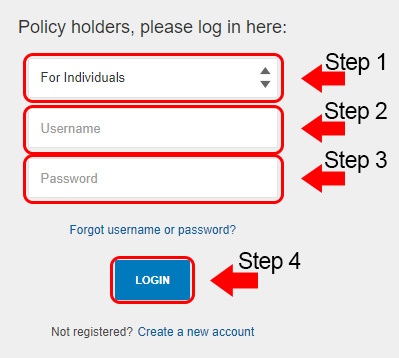 You will be redirected to a page with the message “Policy holders, please log in here”. Choose the type of client you are: Individual, Business or Broker. Type your username in the first field of the Metlife login menu. Type your Metlife password in the second field of the menu. Tap Login to verify your credentials and view your account. Go the Metlife iTunes page to download the app. Tap the LOGIN blue button. You can check the Remember me box. This will allow you to skip the Metlife login procedure the next time you open the app. You can also activate the Touch ID. Touch ID allows you to access the app by pressing your thumb on a special are, to verify you are the account holder. The new updates of the app feature enhanced security for customers resetting their password and viewing ID cards. Go the Google Play Store Metlife US page. Download and install the Metlife app. Tap OPEN to launch the app. Enter your Metlife login information in the sign in menu. Tap “Remember me” if you would like the app to save your login information. Enable “Touch ID” by tapping the box. This will allow you to sign in using your thumb print. The first thing you need to do in case you have issues with the Metlife login process is to click on the Forgot your username or password? link on your primary login screen. You will be sent to a page saying “To help identify you, please enter the primary email address associated with your account.” Fill in the field with your email address and solve the math problem to let the company know you are human. Click NEXT and follow the instructions. Also, you can visit this account assistance page to have your questions answered. If you would like to know more about how you can keep your Metlife account and Metlife login information safe, take a look at this guide on Phishing. Remember that Metlife will never request your login information by phone, or through text message or email. If you have received an email requesting your Metlife login information, forward it to phish@metlife.com. Immediatly change your Metlife password, using the instructions above. Headquarters Address: 1095 Avenue of the Americas, New York City, New York, U.S.